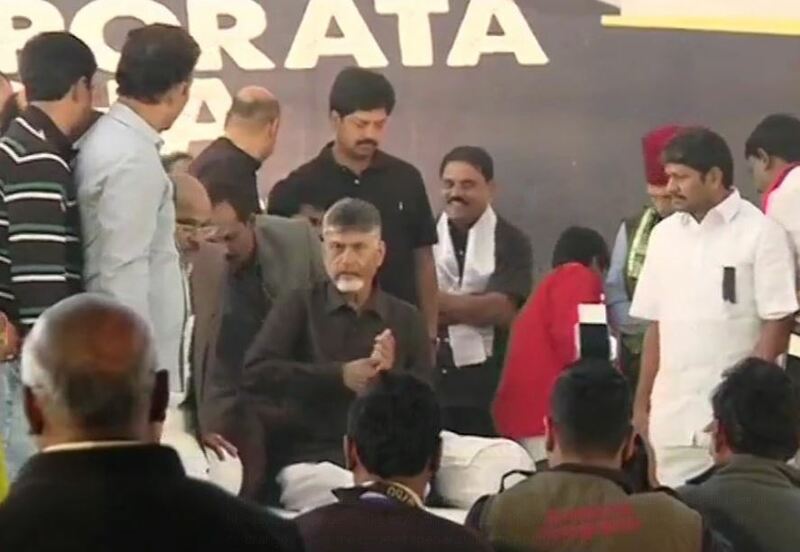 Kolkata: West Bengal Chief Minister Mamata Banerjee Monday extended support to her Andhra Pradesh counterpart N Chandrababu Naidu over his day-long hunger strike in New Delhi. "Our party chief Mamata Banerjee has expressed her support towards Chandrababu Naidu's hunger strike. She asked our party leader Derek O'Brien to visit Naidu at the venue of hunger strike and express solidarity. The opposition stands united in the fight against the Modi government. The TDP had walked out of the BJP-led NDA last year protesting the "injustice" done to the state after its bifurcation. 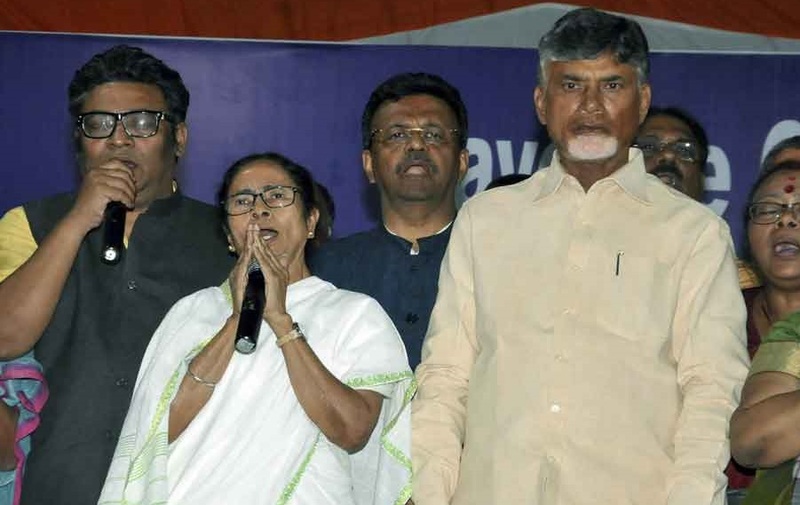 Naidu had last week come down to Kolkata to express his support to Banerjee, who was on a dharna from February 3 to 5 to "save the Constitution" after the CBI's failed bid to question Kolkata Police Commissioner Rajeev Kumar in connection with chit fund cases.